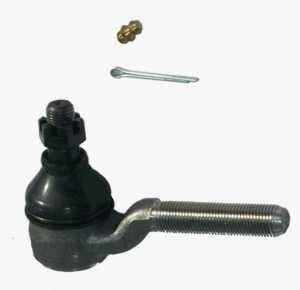 These Moog replacement tie rod ends are designed as OE replacements for your stock units. Moog replacement tie rod ends feature durable, all-metal construction that is not prone to failure like some OE plastic tie rod ends. Since Moog replacement tie rod ends are greasable, friction is reduced and contaminants are flushed out. Plus, they have an easy-access wrench flat that allows the use of a socket for easy installation.